Never let your underwater housing sit in the sun, to prevent camera fogging. When in the open, and especially in the hot sun, keep a wet towel over it. Letting the sun hit your underwater case can cause condensation later when you dive, and can dry it out and cause salt crystals to form. When you exit the water, if you have a wide angle dome port on, train the crew to put your dome port cover on immediately to avoid scratches. Soak the underwater case in fresh water for a few minutes after every salt water dive, if possible. Soak it for longer if the salt water had a chance to dry. “Work” the buttons and controls for a few seconds while the camera is underwater, if possible. Afterwards, quickly towel-dry the housing. After your dive, don’t leave your camera unattended in the rinse tank*. I have heard many, many stories that start with "it flooded in the rinse tank". Get your housing serviced every year with the appropriate authorities. Keep a neoprene cover over your dome port as much of the time as possible, to avoid getting the dome port scratched. I try to enter and exit the water with a cover on my dome port. After every dive day, you should clean and relube the o-rings and grooves: Do this on the housing o-ring, the port o-ring, and the strobe battery compartment o-ring. Also perform this on your sync cord o-rings after every few dives. Do not over-lubricate the o-rings. Just a little bit is fine. Make sure you use the o-ring grease supplied by the manufacturer. I use a q-tip and a high-quality paper towel to clean the groove the o-ring was in. First remove the o-ring; wipe out any dirt from the groove using a q-tip, with a paper towel underneath it. Gently wipe off the o-ring, being very careful not to stretch it. I usually wipe the o-rings off with my fingers, gently feeling for any dirt or particles. Wash the o-ring off if it has sand on it that won't come off, or if it is really dirty. Use an air-blower to blow off any hairs or dust from the groove, and relubricate the o-ring with a small amount of lube that your housing manufacturer suggests. Look at the o-ring one last time, and again being careful not to stretch the o-ring, place the o-ring back in. Some people are comfortable going a couple days without removing and relubing their o-rings, if they are not opening the port or housing up. 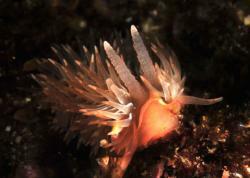 Very important - underwater housing care must be done in a non-hurried fashion, in a calm, uncramped, well-lit area. Preferable well before you dive. Rushing this procedure, or doing it on a small boat, has been the cause of many floods! Inspect the housing carefully before and after closing it to make sure nothing got caught in the groove, like a hair or the o-ring. After inspecting the o-ring and surfaces, close your housing quickly. Some of the most common blunders include the following - leaving the lens cap on, having no memory card in the camera, having the lens set on manual focus, not having the hot shoe not plugged in. The most common test for me is leaving the lens cap on, I never remove my memory card. Your test shot should catch any of these problems. Always bring a spare memory card and spare batteries on boat with you. Make sure your test shot is at a small aperture or higher shutter speed, so that you can clearly tell if your strobes fire. Make sure you are in manual mode. You don’t want to have your camera exposing for ambient light during your test shot. After receiving a new housing, or after repairs, always test your housing in a pool or ocean without the camera to make sure it is leakproof. Place a soft weight inside to help make the housing neutrally buoyant. #1 top cause of flooding - closing the housing and having a desiccant pack caught in the o-ring, or a large hair. This has happened to many people - beware - always watch carefully when you close the housing. Nothing can be touching or laying on the o-ring as the housing shuts. Close it in a well-lit area so you can see. This applies to strobe and port o-rings also. Salt/dirt building up in the o-ring grooves over time. Make sure you clean the grooves, I use a qtip over a good-quality paper tool. Failing to fully screw in sync cords - always double check them. small floods have happened when people jump into the water from up high with their gear, and the gear slams into the water - bring it into the ocean gently please, or better yet, have it handed down to you. Latches on the underwater camera housing not being securly shut - always double check them. This will causing a housing flood for sure. Latches or tabs or clips locking the dome port coming undone or not being fully secure. This affects certain dSLR housings more than others, such as Ikelite housings. Always double-check your port lock if you need to before submerging your camera in water. O-ring popped out after momentarily opening the underwater housing. This sounds obvious, but always double check the o-rings before closing the housing to make sure remain fully in the groove. If you open a housing on a boat, you can't be a rush when you close it back up - inspect carefully, and re-read the 1st item in this list. Water dripping into open sync cord connections - when removing sync cords, make sure salt water can't drip onto the metal contacts. Thanks to Marcelo Mariozi for help with this last section. If you feel like I missed anything important, please add you advice/story as a comment at the bottom of this page. 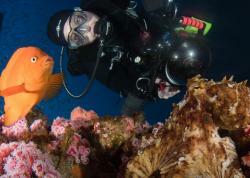 Has your underwater camera fogged up underwater? Is your waterproof housing fogging? Many people have had this problem. Here's some tips to avoid having a a fogged up lens. I have not had fogging problems in a long time, even with my compact cameras. Try to setup your housing and close it in a cool, dry area to minimize the moisture inside the housing. Inside your cool, air-con room is a good choice. Outside on the boat on a hot, humid day can be a poor choice and can lead to fogging. Don't let your camera & housing get hot - keep it cool, out of the sun. Having a wet towel over it at all times is a good idea. 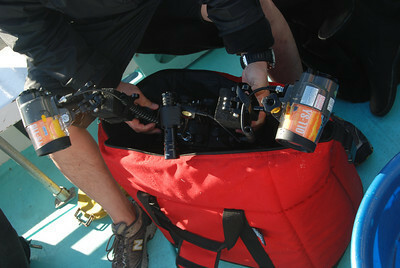 This is a popular cooler for carry a camera on the boat, and it doubles as a rinse tank. AO Cooler bags can be found here. Don’t drip on the camera. Be sure not to lean directly over the camera or housing. Examine carefully before closing the housing; have a flashlight if necessary. Soft coolers, originally designed for beer, can be used to hold your small or large camera housing in between dives and prevent it from being banged up. You can see a red one in the photo above. They can also be filled with water and used as a portable mini-rinse tank. Order them here. Yes, sync cords deserve a special section. Be sure to unplug them carefully after every few dives, and carefully dry out the bulkheads, and wipe water off the sync cords. Use a toothbrush to clean off the metal threads on the ends of the cords. My setup has 3 sea & sea sync cords – 2 single cords between my TTL converter and strobes, and one going from the converter to my housing bulkhead. The washers of the sync cords can freeze up permanently if they are not unscrewed after every few dives, and the area under them cleaned with a toothbrush. And when you remove sync cords, it’s easy for water to drip into the open bulkheads, be careful and dry out any water that is in there. Carefully remove and wipe off the sync cord o-rings, and re-lube them every time the cords are removed. If you are ever on a dive, and your strobes fire on their own, you have a little moisture inside one of the bulkheads where your sync cords connect. Leave the water, carefully open, check, and dry all connections. If you scratch your acrylic dome port on the outside, no worry, it can be "meshed out", even if it has some nasty gashes. Light scratches on the outside usually won't affect your photos because they will be "filled in" with water underwater, and you won't see them in photos, but they might reflect the sun in sunny water shots. Get the "micro-mesh" dome port repair kit here. This does not work with glass dome ports. Read more about acrylic ports versus glass dome ports. This mesh kit works wonders, you use multiple layers of sandpaper to sand down your dome port. It's hard to believe your dome port will ever be useable again, but believe it or not at the end of the process it will be just like new! At first it will look all roughed up, but by the time you get to the smoothest paper, the dome looks brand new. I even scratched the inside of my dome port one time. My focus ring came off my tokina 10-17mm lens. Make sure your focus rings are on tight! I needed to add extra tape to my lens to make the fit tight. These scratches do not fill up with water. I ended up carefully using the micro-mesh kit on the inside of my dome port. It wasn't perfect, but it got the scratches out for the most part. The very outside edges of the inside of the dome port aren't perfect, but those don't appear in photos. It was more difficult than doing the outside of the port, but definitely doable. 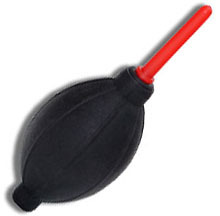 Get yourself a good bubble-blower, and a lens kit that contains a blower-brush, lens paper and lens cleaner. There is a good cleaning kit here. Every so often, your lenses and ports will need cleaned. Clean your lens glass carefully. Always blow off dirt and dust first with a blower, then a soft brush, before wiping it with lens paper. Otherwise you may scratch the glass. 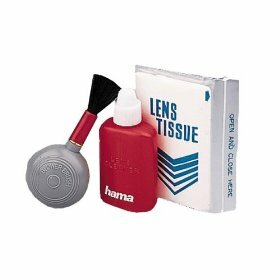 Always use lens paper or a lens cloth to wipe the glass. This also goes for ports and diopters. A put a few drops of lens cleaner on half of the lens tissue paper, and then I wipe the glass until it is clean. Then I wipe off the liquid with the dry half of the lens paper until the glass is dry. Always store lenses with the lens caps on when not in use. Try not to change lenses in dusty environments. Change your lens as quickly as possible to avoid getting dust on your sensor. When your camera does not have a lens on, your sensor should be facing down, to avoid dust falling on the sensor. Remove your main housing o-ring, and put it in a ziplock baggie, before packing your housing away. When you reach your destination, make sure you remove every o-ring in your system, clean it, lube it, and put it back. The pressure from an airplane can dislodge o-rings. Trust me, you don’t want to learn this first hand.